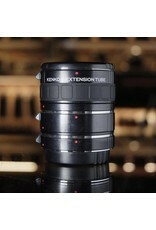 Kenko DG Automatic Extension Tube set for Canon EF. Home / Kenko DG Automatic Extension Tube set for Canon EF. 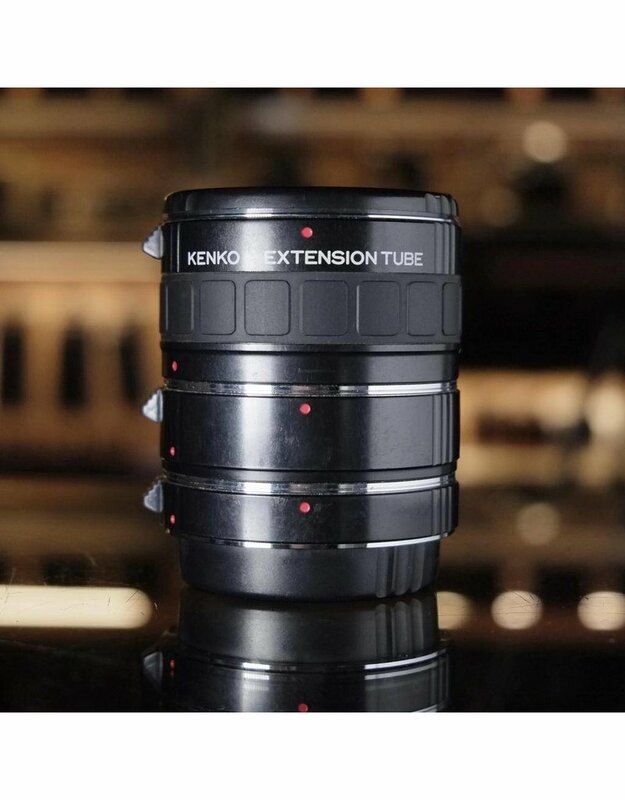 Kenko DG Automatic Extension Tube set for Canon EF-mount SLR cameras. Suitable for film or digital cameras, this set includes 12mm, 20mm, and 36mm tubes with electronic passthrough. Cosmetic condition is adequate, with wear from use; function is excellent.